Arrival at Agadir airport, reception by Marisar Manar Travel assistance and transfer to the hotel, dinner and overnight at the hotel. Breakfast, city tour, city center Orientation tour of the city that was destroyed in 1960 by an earthquake. It was rebuilt and it has now become the largest resort in Morocco, still in full swing. 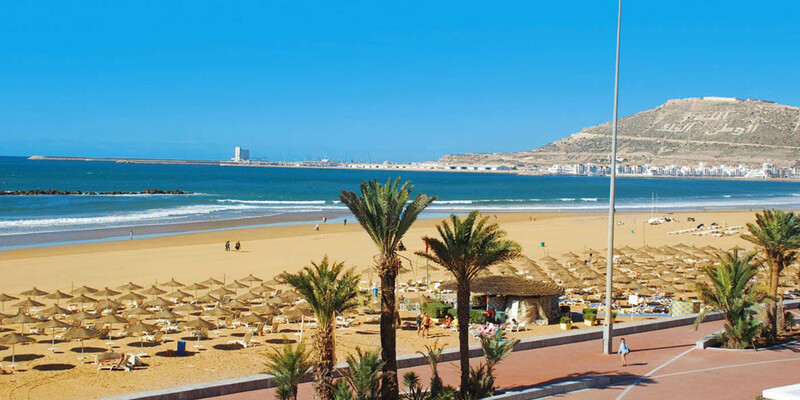 From the top of the old Kasbah of which nothing remains, a superb view is offered on the bay of 7km Visit the marina Walk on the beach, admire the magic sunset of the ocean, Dinner and overnight at the hotel. Breakfast, departure for Essaouira "the old Mogador" along the Atlantic coast in its first part. 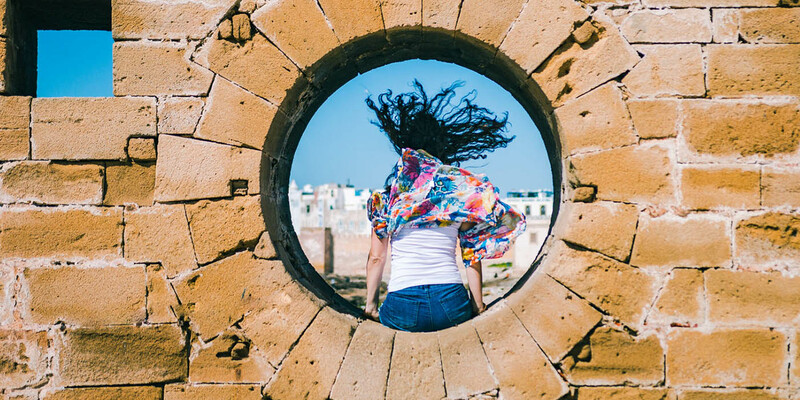 Walk inside the ramparts which shelter a medina with Portuguese and Moorish influences strongly marked with its market streets, its small shaded place and its Moorish cafe terraces. Visit the fishing port located at the end of a long and beautiful sandy beach, located at the foot of the ramparts. It offers a permanent show, in an exuberance of colors, those of the boats but also the nets gathered on the quays, Lunch fish, Free time, End of the afternoon walk on the beach, to take a coffee at the seaside, then free time for shopping, return to the hotel, dinner and overnight. Breakfast, departure to Marrakech, the red city and tourist capital of Morocco, Arrival at the hotel and distribution of rooms, lunch in a gourmet restaurant of your choice, then visit the city, Gueliz, the place of jamaâ Lefna, registered universal heritage of the city, Dinner and overnight. Breakfast, visit of the city: the Menara and the Majorelle Gardens (created by the French painter Jacques MAJORELLE in 1920, taken over after his death by Yves Saint LAURENT and Pierre BERGER), Visit the Saadian tombs, the Bahia palace, Museum of Moroccan Art and Dar Si Saîd, Lunch at a restaurant of your choice, Free afternoon dedicated to Shopping, Dinner & overnight at the hotel ,, Optional evening Chez Ali, to attend a night of a thousand and a night in a folk atmosphere. Breakfast, departure to Agadir, Break on Taroudante, the small Marrakech. 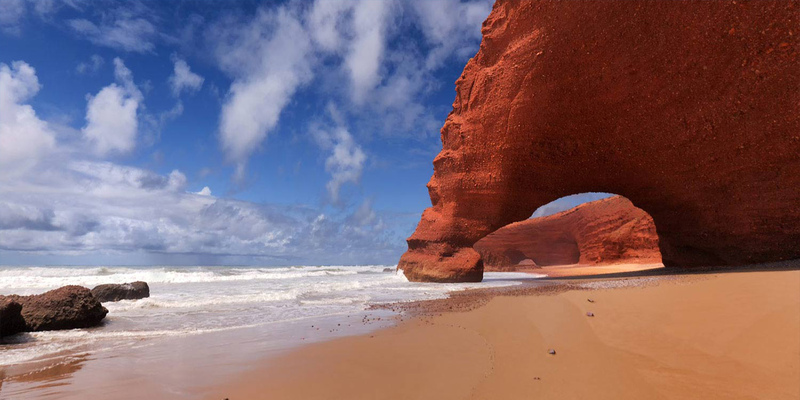 Visit of the city, surrounded by its beautiful belt of the golden wall, with its network of narrow streets with red houses, after continuation to the city of Agadir, the pearl of the south of our kingdom towards the Atlantic sun and the golden beach, Check in at the hotel, Lunch at a restaurant of your choice, Visit the old Kasbah, Agadir Oufella Berber village that represent a corner of paradise, free time for shopping, dinner and overnight at the hotel. Breakfast, free morning: walk on the marina to enjoy the tranquility and serenity that the waves of the ocean gives you, Check out of the hotel and transfer to the airport according to flight schedule.